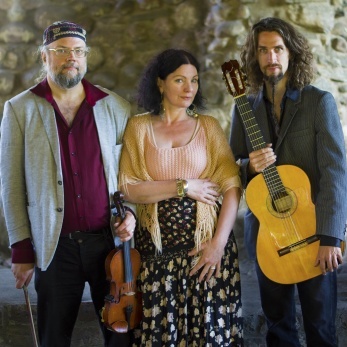 Krilja are a trio who play Romani folk music from Russia and Eastern Europe. Their music is grounded in traditional roots but with their own distinctively original sound, influenced by flamenco and jazz, amongst other styles. The group began in the year 2010 and has performed for the most part in different parts of Sweden but has also toured in Scotland and Iceland to much acclaim. They are planning a tour of Finland for the summer of 2018. Krilja’s debut album, which was released in 2015, received excellent reviews in local and national newspapers as well as in music magazines. Perfect for performances in not only cafés, libraries, churches and art centres but also large festival stages. Krilja’s website can be found here. Video clips from some of Krilja's concerts can be found here.